Tauren Wells is the lead singer of the Christian band Royal Tailor, formed out of Indianapolis, whose first album “Black & White” was nominated for a Grammy Award. Now the band prepares to head out on the 2013 Winter Jam tour, which will bring together some of Christian Music’s greatest artists for 40 plus shows in the first quarter of next year. Winter Jam 2013 will feature TobyMac, Matthew West, Sidewalk Prophets, Jason Castro, Jamie Grace, NewSong, Red, Capital Kings, OBB and speaker Nick Hall. The Global Dispatch’s Brandon Jones spoke to Wells about the band, how they started, touring with these big names in Christian music and his Christmas plans. BRANDON B. JONES: Let me begin by thanking you for your time and what a pleasure it is to be speaking with you. TAUREN WELLS: It’s great, thanks. BRANDON JONES: The four of you met in Bible College, so tell us how you came together. Did you meet in a certain class? TAUREN WELLS: We played music together, we played in different bands and had this hairbrained idea of starting a band. We started with two songs and played the college’s pep rally. Here we are….six years later. 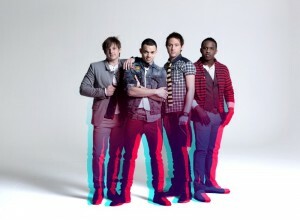 BBJ: Where does the band’s name “Royal Tailor” come from? WELLS: There’s a quote that says, ‘Jesus served with the heart of a king, but ruled with the heart of a servant’. The name ‘Royal Tailor’ sums this up for us. Honoring God, the King, mending and adjusting our lives. To belong to God makes us royalty…a royal servant and that’s both in our identity and mission. BBJ: When you started out, describe the music. Who did you cover? WELLS: We kept writing and covered a lot of worship music. Evolve or evaporate…we were seeking to be inventive, curious and reaching for what’s next. That led to the solid music we do now. People are loving it, jumping on board now. BBJ: “Black & White” gave you a major hit, “Make a Move,” pretty quick, everything change overnight? WELLS: Well, it may look like an overnight success, happened relatively quickly, but there’s also all of the radio tours, and building relationships. We have been working on our skills since we were young, even ten years old. It’s a lot of work…blood, sweat and tears. We just forged a way to be where we are now, stay relevant to people we are trying to reach. BBJ: You toured with Casting Crowns, a huge name in Christian music, what did you learn and take away from that experience? WELLS: Wow, yeah…they were awesome. First, we took away relationships, relationship building…people, family – everyone. They would not just walk past the security guard. Talk with them, give them a CD. Yeah, it’s a ministry from the stage, but it can be a great ministry offstage. Nobody probably knows this, but you have to pay to play. This is unprecedented in the music industry and it impacted all of us. BBJ: Let’s talk about Winter Jam. WELLS: With Casting Crowns and now Winter Jam, we will be in front of 800,000 people since January…January 2012 to March of 2013. It’s incredible to have this opportunity. The opportunity to be with TobyMac, Matthew West, Red…to develop relationships and be a part of a voice of hope and encouragement. (We are) just blown away and completely stoked. BBJ: How did you get on the tour, did you track them down, did they call you? WELLS: Actually we had a lot of support from other bands. They told Winter Jam, badgered them ‘You gotta have these guys,’ ‘You gotta have these guys,’ ‘You gotta have ’em’ and it’s cool. It’s cool to have support from different artists like that. BBJ: It’s got to be cool to name drop a bit, tell friends and family. WELLS: Her and her family…we can keep them updated. BBJ: So how are you spending Christmas? WELLS: I’ll be in Houston with my wife and her family. I’m originally from Michigan and we went home, visited my family and even got to preach at my home church. This year I’ll be relaxing in sixty degree weather and won’t be complaining. BBJ: We get to see you in Tampa, so that’ll be a nice break from the cold weather on the Jam Tour. WELLS: Yeah, absolutely. Excited to get down there. BBJ: So, is there another project or album in the works? WELLS: That’s been pushed down the line for now, focusing on Winter Jam, selling “Black & White” and not moving along too quickly. BBJ: Let me thank you again for your time. WELLS: Thank you, it was cool. 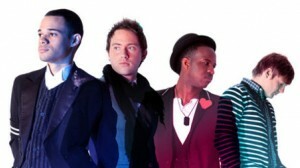 Get tour dates information as Royal Tailor’s website here, follow them on Facebook here.